Genetic Testing Laboratories are your experienced, UK based DNA testing service provider offering cheap DNA testing services and an affordable paternity test. Our home paternity test includes testing alleged father, mother and child and starts at only £99. There are no hidden fees. Your DNA test results are conclusive and accurate because our testing is carried out in highly accredited laboratory to ensure you get results you can trust. With GTL, you can have the assurance of speedy results, issued in just 3-5 working days, because our short turnaround times mean less stress for you. If your case is urgent, we also offer an express DNA testing option for our paternity and maternity tests which will enable you to get those results in just 3 working days (from the moment samples reach the laboratory)! The service is available for just a small additional fee. ✓ Discreet packaging marked ‘Private & Confidential’. ✓ DNA testing of the alleged father, child and mother (mother optional). ✓ Our Premium Quality Paternity Test using 21 genetic markers. ✓ 99.99% accuracy if he is the father and 100% accuracy if he is not. ✓ Confidential DNA test results in 3-5 working days. ✓ Our legal ISO accredited tests include Special Delivery postage of the sampling kit to your chosen health professional. The only thing that's cheap about our DNA testing is the price! We offer cheap DNA testing and the most competitive prices. We test a total of 21 genetic markers to give you the highest levels of accuracy and DNA test results you can trust. Genetic Testing Laboratories offer complete confidence and total privacy with all our testing services. You need a DNA sample collection procedure that is quick and easy. With GTL, samples are collected quickly and painlessly using mouth swabs rubbed on the inside of the cheek. There is no location we cannot service and our DNA test kit can be sent anywhere in the world. Wherever you are based we can provide you with the test you need. If you need someone to collect your samples, we can assist you through our own samplers located across the UK. All DNA test kit orders received before 4pm GMT will be dispatched the same day. Easy to follow instructions allow samples to be taken in your own home. Legal ISO accredited DNA tests are available and include free postage of the sampling kit to your chosen health professional. Once we receive your samples, these will be tested in an ISO 17025 accredited laboratory that adheres to the highest levels of quality. GTL offers the highest quality DNA tests in the marketplace, using 21 genetic markers and backed by our DNA Paternity Testing Accuracy Guarantee. You need a company you can trust and results you can depend on. With 15 years’ experience and hundreds of thousands of DNA tests, GTL has built a solid reputation in field of DNA testing. A positive experience with us means a lot. This is why we have a highly trained customer support team available to help you and make your experience seamless and stress-free. 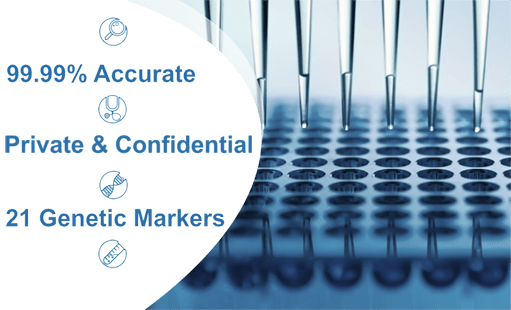 Genetic Testing Laboratories is a leading testing company offering state-of-the-art facilities for autosomal (STR) DNA analysis, Y-chromosomal (Y-STR) DNA analysis, mitochondrial (MtDNA) analysis and mini STR DNA analysis for forensic casework. We also offer cutting-edge tests such as non invasive prenatal testing for Down's syndrome (NIPT) as well as a range of ancestry tests, including British DNA testing, ancestral origins testing and lineage DNA tests. Accrediting bodies include AABB and ISO 17025:2005. Please visit our Accreditations and Partners page for full details about the accreditations held by the testing laboratory. Excellent service. Results came a lot earlier then expected very happy with services. 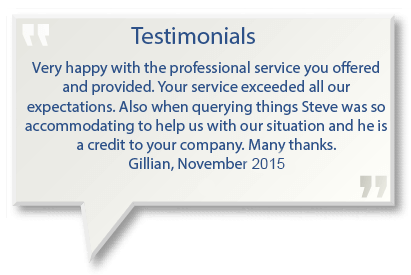 Very satisfied with all aspects of your service. No further comments other than completely satisfied with your services. Thanks. Highly recommended non invasive procedure safe for me and unborn baby. Very fast results and thank you. I am very pleased with the service received and felt reassured with the email contact and updates.